September 2015 | New Creation Inc.
With it’s popularity originating in men’s streetwear, photographic jungle prints have poured over into all major textile markets in 2015. 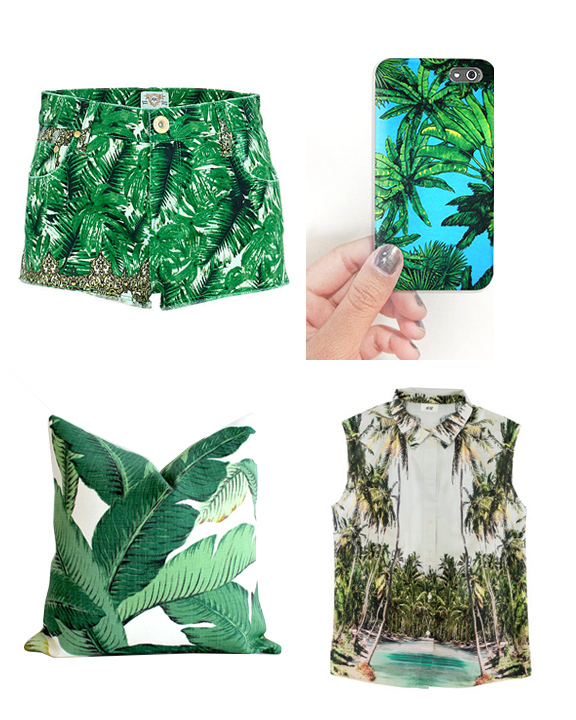 For SPRING/SUMMER 2016 we are still continuing to see these tropical prints. However, they have evolved into something much more hand drawn and folksy-feeling. These friendly palm prints work especially well for casual women’s and junior’s styles as well as some specialty men’s styles. All image credits on today’s blog belong to Wicker Paradise via Flickr. We are sharing these image under the CC by 2.0 license. Shorts, Phone Case, Pillow, and Shirt.